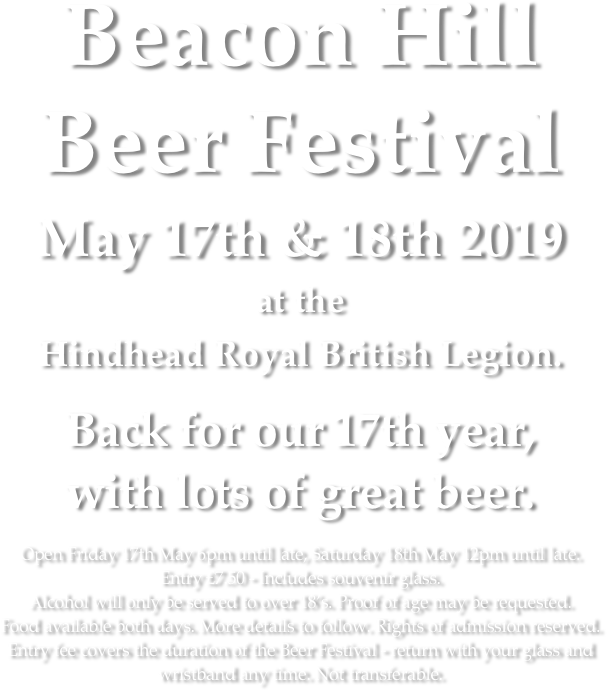 Beacon Hill Beer Festival May 17th & 18th 2019 at the Hindhead Royal British Legion. Back for our 17th year, with lots of great beer. Open Friday 17th May 6pm until late, Saturday 18th May 12pm until late. Entry £7.50 - Includes souvenir glass. Alcohol will only be served to over 18’s. Proof of age may be requested. Food available both days. More details to follow. Rights of admission reserved. 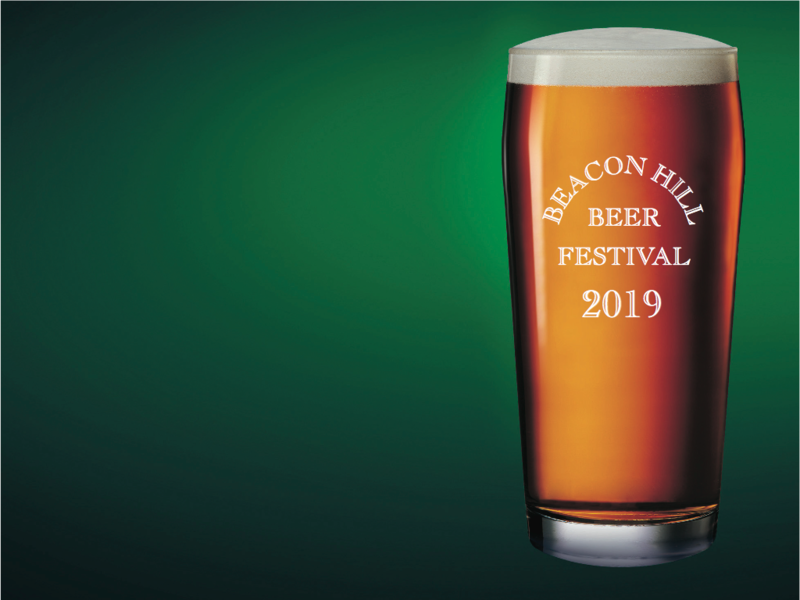 Entry fee covers the duration of the Beer Festival - return with your glass and wristband any time. Not transferable.